This is the bottom right square of Lily special quilt. It says “Smell the flowers along the way…” and I really hope Lily takes that to heart. Stopping to enjoy the moment is so important and overlooked in our culture. 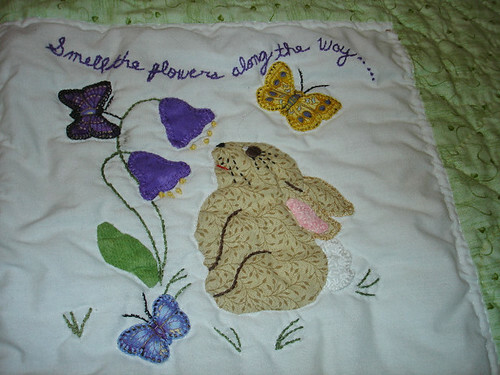 This entry was posted in Friends and family and tagged Friends and family, quilt.